Apartamento com 2 quartos, 2 banheiros, máquina de lavar louça de cozinha completa, microondas, forno, frigorífico, máquina de lavar, fogões, ar condicionado e Wi-Fi. Ele consiste em um terraço de 50 mtr2 com uma atmosfera relaxante e onde você pode fazer churrasco. Tem estacionamento privado no mesmo edifício. we were met by Carlos the owner at the apartment showed us every thing we needed to know also left us a welcome pack including bottle of wine which was a really nice way to start our holiday. The apartment was fantastic very spacious and very clean with a beautiful wrap around balcony where there were sun beds and table and chairs to eat out side, sun was there all day and evening. The beach was a 2 minute walk with a few bars and plenty of places to eat with a super market on the corner. Over the zig zag path which took 10 minutes into Nerja old town which was bigger very pretty streets with many bars and restaurants some with live music. We hope to go back in the future. Thanks Carlos you have a beautiful apartment. A really well presented apartment and Carlos was very considerate and helpful. This is the first time (in circa 20 visits to Burriana) that we didn't stay on the beach front, but it was quite nice being back from the beach for a change. I was also concerned (when we arrived) that the sun terrace was overlooked by people walking up and down "heart attack hill", but it wasn't a problem. In fact, watching the beac goers go up and down the hill was a source of entertainment, especially when a confused tourist tried to drive up it, resulting in a 200 point turn at the hairpin, marshalled by about 20 beach goers. No damage done and no one got hurt, so it was quite funny. Schöne, geräumige Wohnung, sogar mit 2 Badezimmern! Auch wir haben ein Willkommensgeschenk bekommen - sogar Überraschungseier für die Kinder. Kleine Geste macht großen Unterschied! Sehr nette Vermieter. Dank Ventilatoren in allen Zimmern und Klimaanlage war auch die Hitze Ende Aug/Anf. Sep gut zu ertragen. Sehr empfehlenswert: Ausflug zu den Höhlen 'cuevas de Nerja', nur 4 km entfernt. Ohne Auto auf jeden Fall den Zug buchen - Tickets gibts im Museum, dann ist Zug, Museum und Eintritt zur Höhle dabei und man spart sich lange Wartezeiten für Tickets an der Höhle. Sehr schöner, langer Strand, ganz nah! We stayed for one week in this very nice appartment. 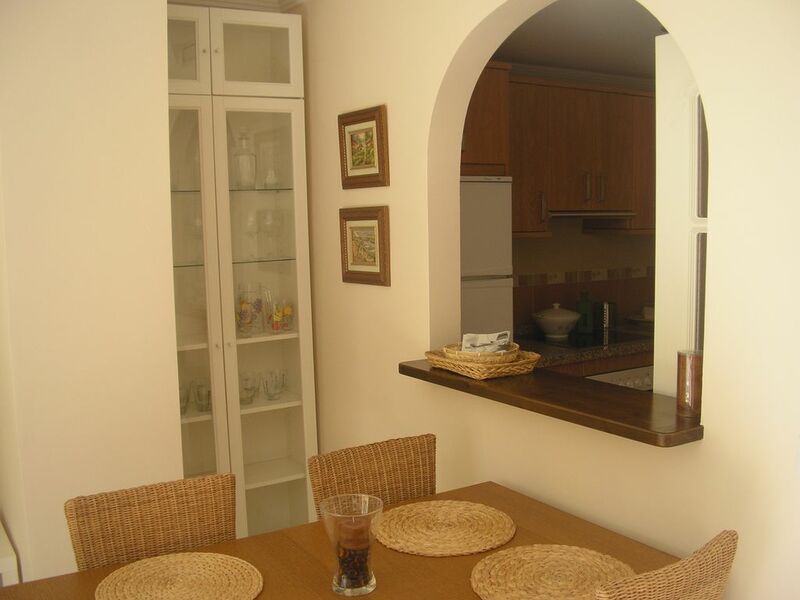 Location was great with a short stroll to Burriana beach and restaurants. The appartment has a large balcony and there is a nice pool downstairs. The owner was very friendly and we recieved some welcome treats when we arrived. Highly recommended.